ABCmouse Online Education Academy FREE for 30 Days! 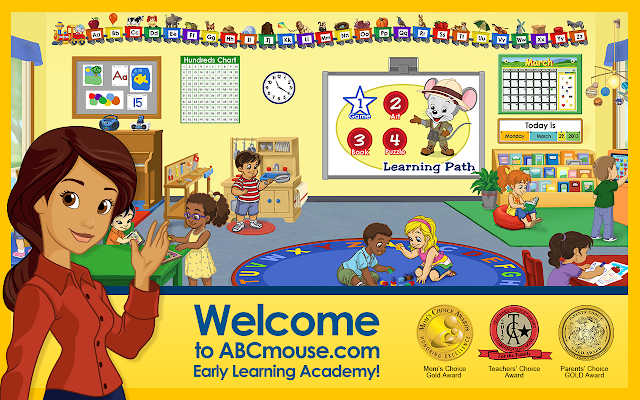 ABCmouse.com Early Learning Academy is the leading online early education curriculum for parents, preschools, and kindergartens in the United States and Canada. We offer more than 2,000 books, games, songs, puzzles, and art activities, each with specific learning objectives in the subjects of reading, mathematics, beginning science, social studies, art, and music. Try It FREE TODAY! You have access to 8,500+ Learning Activities, Access on All Devices, Comprehensive Online Learning and Advanced Progress Tracking. PLUS you can add up to 3 children for the price of one.